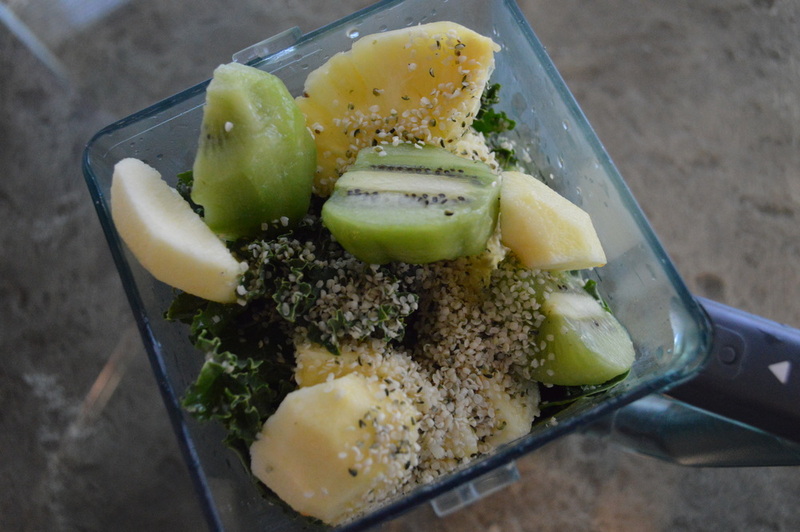 Super healthy and doubly green smoothie for all my Green Smoothie enthusiasts! No banana today, but instead, a sweet gala apple – my fave! 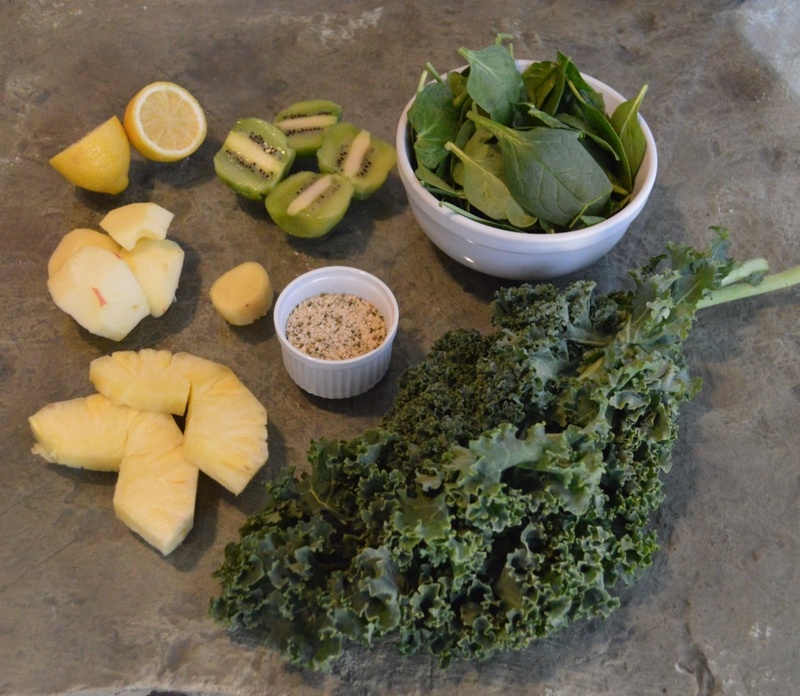 Tons of Iron & Vitamin C from this Kale + Spinach combo with just the right amount of sweetness from apple, kiwi & pineapple fruit combo. I’ve been on a big ginger kick over the last few weeks, throwing a good sized, 1 inch chunk into the blender several times a week. For years, I had such an aversion to the taste, even smell of ginger, (bad childhood experience) and out of nowhere I have this new found love for it — So good! 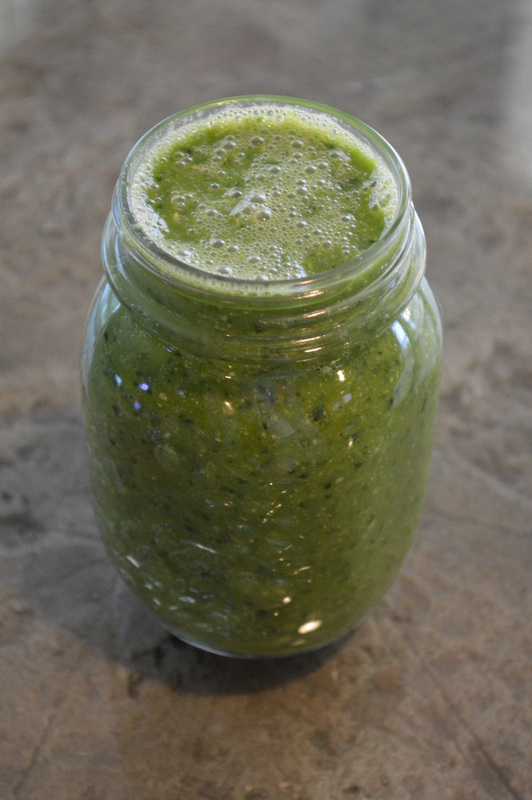 Makes me feel instantly energized, its a powerful immune booster + a natural anti-inflammatory. I definitely recommend trying it out.